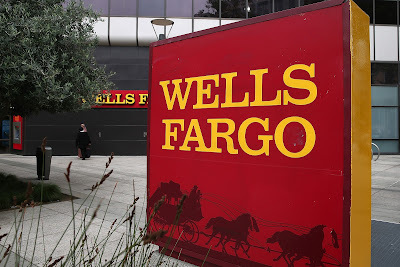 Wells Fargo – a name that was highly respected in the United States in the financial circles; A bank that has done immensely well for itself in the past one hundred and sixty odd years. This elite bank has however in the month of September got embroiled in a highly embarrassing scandal, wherein about 2 million bank and credit card accounts were opened without customer authorization to meet the impossibly high sales targets. These sales figures led to soaring stock prices, the profits from which were then pocketed by the CEO, John Stumpf. When the fraud was detected by USA’s regulatory agencies, John Stumpf went ahead and fired about 5,300 employees, which was almost 1% of Wells Fargo’s total workforce. The matter is now subjudice with hearings going on in the US house of Senate, and charges are being pressed against the CEO to resign and undergo criminal investigations. In 1852 Henry Wells and William Fargo founded Wells Fargo and Co. to serve the western part of United States. Wells Fargo opened for business in the gold rush port of San Francisco. They catered to banking services including buying and selling of gold. Their hallmark was attention to detail, trust and loyalty to customers. The company went on to do very well and soon opened branches all across America. They would also do express delivery of money or drafts or gold via stagecoach (there lies the answer to a historically significant logo), railroad, steamship or via telegraph. Their brand became a household name especially among the elite class. Soon after, they started delving in corporate responsibility and into responsible lending. A very important clientele was the armed forces, whereby servicemen could take home and vehicle loans at reasonable rates of interest and for a comfortable duration. September 8, 2016 was when the various regulatory authorities in USA like the Consumer Financial Protection Bureau, the Los Angeles City Attorney and the Office of the Comptroller of the Currency, fined the bank $185 million, alleging 2 million fraudulently opened bank and credit card accounts. Not only that, there are allegations of forced closure of delinquent vehicle loans of US marine corps and other servicemen, while they were away on duty. Their vehicles, post acquisition by Wells Fargo, were immediately auctioned to recover the due amount. There are rules against harassing armed forces officials in USA which were violated by Wells Fargo rather blatantly. Then again there are questions on the organizational culture of the bank. There are stories of branch managers locking the exit doors to prevent their employees from leaving their respective workstations before completion of day’s work. Employee harassment has come up as one of the charges against the bank, a case under the Fair Labour Standards Act. The chip on CEO, John Stumpf’s shoulder earned as a result of an extremely successful organization, seems like the biggest burden for him as of now. There are investigations against the bank from all fronts, be it customer, its employees or its concept of ‘responsible banking’. Things look rather torrid with FBI also commencing its investigations as well as class-action suits filed against the bank. All is definitely not well with Wells Fargo! A lesson for all organisations that are ruthlessly ambitious and brutal in their delivery.